Sitting in office chairs for prolonged periods of time can cause or exaggerate an existing back or neck pain. When sitting in an office chair for a long period, the natural tendency for most people is to slouch over or down in the chair, and this posture will strain your spine and contribute to or exacerbate recurrent episodes of back or neck pain. 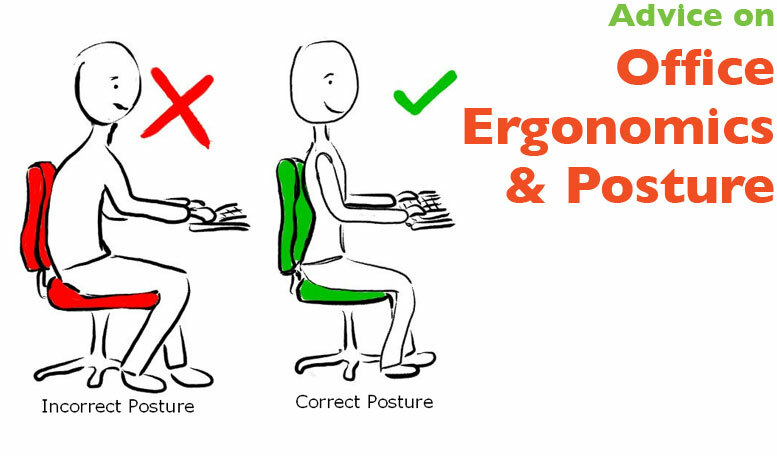 An ergonomic office chair is a tool that, when used properly, can help one maximise back support and maintain good posture whilst sitting. A pneumatic adjustment lever is best. A seat height that ranges from about 16 to 21 inches works for most people. This allows you to have your feet flat on the floor, with thighs horizontal, and forearms even with the height of the desk. The depth should allow you to sit with your back against the backrest of the chair whilst leaving approximately 2 to 4 inches (a clenched fist) between the back of your knees and the seat of the chair. The tilt of the seat should be adjustable. An ergonomic chair should have a lumbar adjustment (both height and depth) so that you can get the proper fit to support the inward curve of the lower back. If the backrest is separate from the seat, it should be adjustable in height and angle, supporting the natural curves of the spine. If the seat and backrest are in one piece, the backrest should be adjustable in forward and backward angles. The material on the seat and back of the chair should have enough padding to be comfortable to sit on for extended periods of time. Armrests should be adjustable, allowing your arms to rest comfortably with your shoulders relaxed. The elbows and lower arms should rest lightly. The chair should rotate allowing you to reach areas of your desk without straining. Sit comfortably and as close as possible to your desk so that your upper arms are parallel to your spine. Rest your hands on your work surface. If your elbows are not at a 90-degree angle, move your chair up or down. Ensure you can slide your fingers under your thigh at the front edge of the chair. If too tight, use an adjustable footrest. If there is more than a finger width between your thigh and the chair, raise the work surface so that you can raise your chair. With your bottom against the back of the chair, try to pass your clenched fist between the back of your calf and the front of your chair. If you can’t do that easily, the chair is too deep. You will need to adjust the backrest forward, insert a low back support (e.g. lumbar support cushion), or get a new office chair. Your bottom should be against the back of your chair, with a cushion that causes your lower back to arch slightly so that you don’t slump or slouch. Close your eyes whilst sitting comfortably. Slowly open your eyes. Your gaze should be aimed at the top of your computer screen. If your computer screen is higher or lower than your gaze, you need to adjust it to reduce neck strain. Adjust the armrest of the chair so that it just slightly lifts your arms at the shoulders. Using the armrest is important to take some of the strain off your neck and shoulders, and it should make you less likely to slouch forward in your chair. Try to remember to stand, stretch and walk for at least a minute or two every 20-30 minutes. A twenty minute walk at lunchtime will help even more to ‘iron out’ the strain from sitting all day. 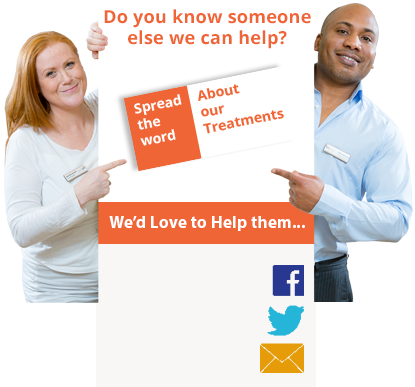 For more information and guidance please don’t hesitate to call us on 0191 565 8886.